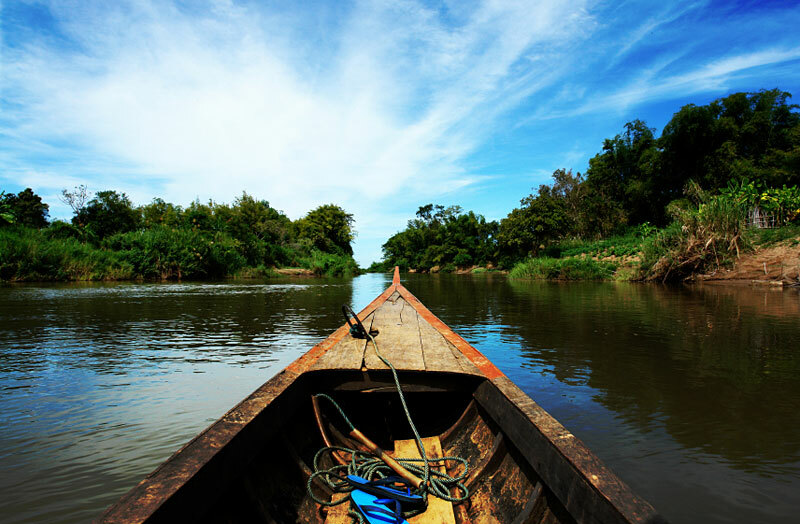 With the weather portrayed by many characteristics of sub-equatorial climate, Mekong Delta River has two main seasons: rainy season from May to November and dry season from December to April. Located adjacent with Southeast Vietnam, in the tropical monsoon climate with high humidity, the Mekong Delta River has the weather characteristics specific to the region. It is the humid tropical climate and sub-equatorial climate that describe the weather in Mekong River Delta. 24°C – 27°C is the average temperature. 20-30°C is the annual temperature range. The disparity between day and night temperatures is not high; there are few weather disturbances or storms. This region has two distinct seasons: the dry season running from December to April with less, even almost no rain while rainy season lasting from May to November with the rainfall accounting for 99% of the total annual rainfall. The climatic factors of this area are said to be suitable for developing all agriculture types. This weather is essential for cultivation and intensification. The average monthly temperature of this region, as mentioned above, is approximately 27°C, thus this region’s weather is quite humid and hot. Often, with the average temperature of 28.9°C, April is the hottest month in a year, while with the lowest average temperature of 25.2°C, January is the coolest month. In Mekong Delta River, annual rainfall fluctuates from 966 to 1325 mm. These dry months from December to May, when the sky is crystal clear, the land is lush and the water is calm, are when the Mekong Delta reveals its best. Even though the weather from June to September may be really humid and hot, it is the only months that the greatest variety of tropical fruit is available. If you are travelling in these months from October to November, stay informed of regional weather forecast ahead of your trip as in this time, occasional flooding is expected, especially in remote areas around Tra Vinh and Dong Thap. 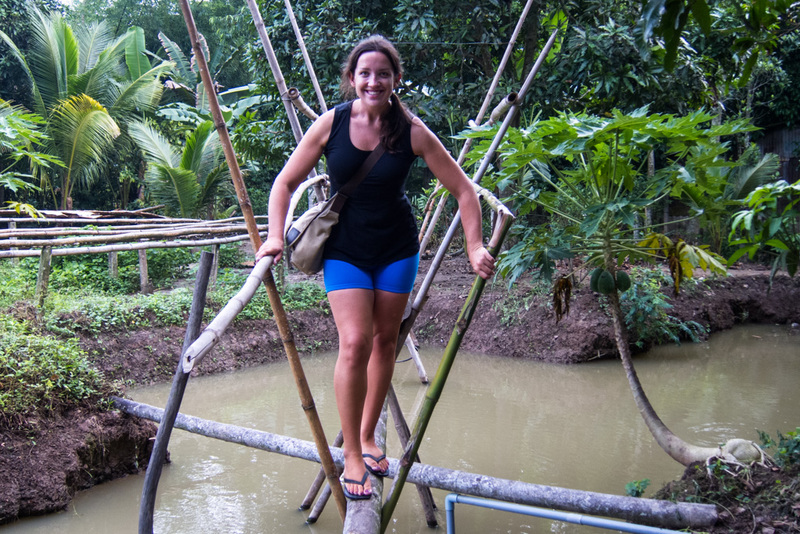 Life in Mekong Delta is woven by water and season. 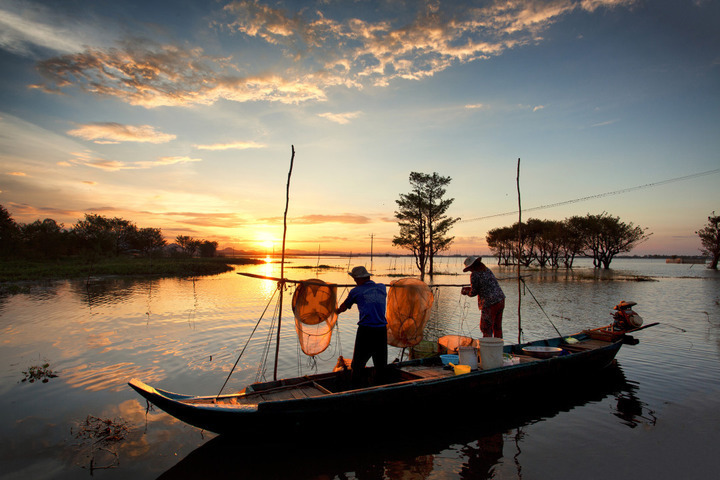 Early summer (fruit season: April – May) and spring (flower season: late January – March), when it is most vibrant, should be the best time to visit the Mekong Delta. Sweeping everything away and bringing a new face to the delta with its rich brown alluvial water, the flood season (from September to November) is also the income season for local people with abundant water vegetables and many kinds of fish. 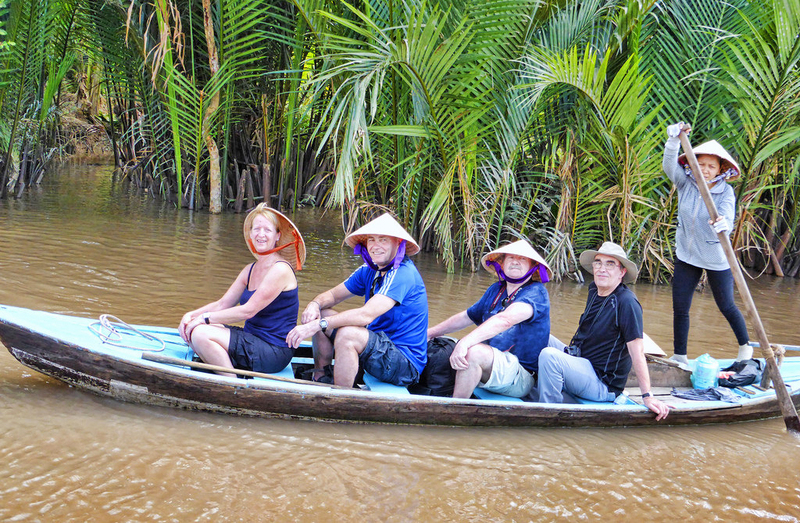 Visiting the Mekong Delta in this season and you will witness the waterfront life at its most fascinating. 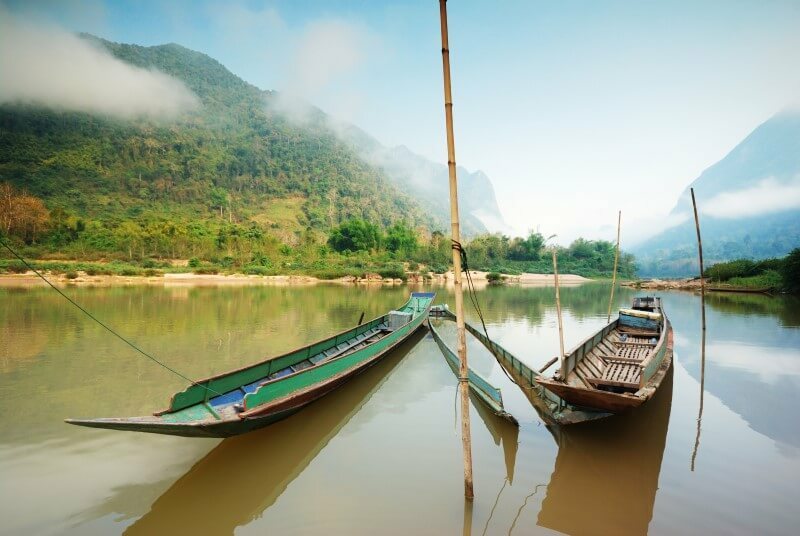 The period from November to January – the dry season, which is the coolest time of a year in often sweltering Southeast Asia, is the ideal time to visit the Mekong region. The month of September is the best bet for those who are traveling to the river’s headwaters, in China. These months from March to May mark the hot season with very dry weather, but during this time, it is harder to navigate in some rivers in some places and it may not be possible to enjoy boat journeys in remote places. The time between November and April is the most popular time of year to visit this region. The weather during this time, with the exception of the mountainous colder parts of Myanmar and Yunnan, is at its most comfortable. However, this means that it is more difficult to find accommodation in some places in the high season. In spite of the fact that it rains, it never gets that cold, and almost all the hotels and guesthouses have rooms available – often much cheaper than during the high season, the best time to travel for many people is the rainy season, generally from June to September.